Happy Thursday! So every morning, I have to drop my oldest daughter off at elementary school by 7:45am and then I take my youngest daughter to school at 8:15am. My four year old and I usually have at least 20 minutes to wait in the car before she can go inside. Well, I always come prepared. We are super fancy and eat our breakfast in the car. It's also where I do my morning coffee drinking! I never want to waste what's in the coffee pot so I pretty much always fill up two to-go cups to take with me. Olivia informed me that I "drink way too much coffee. "Well clearly she's never been a momma or a grown up for that matter. Haha! 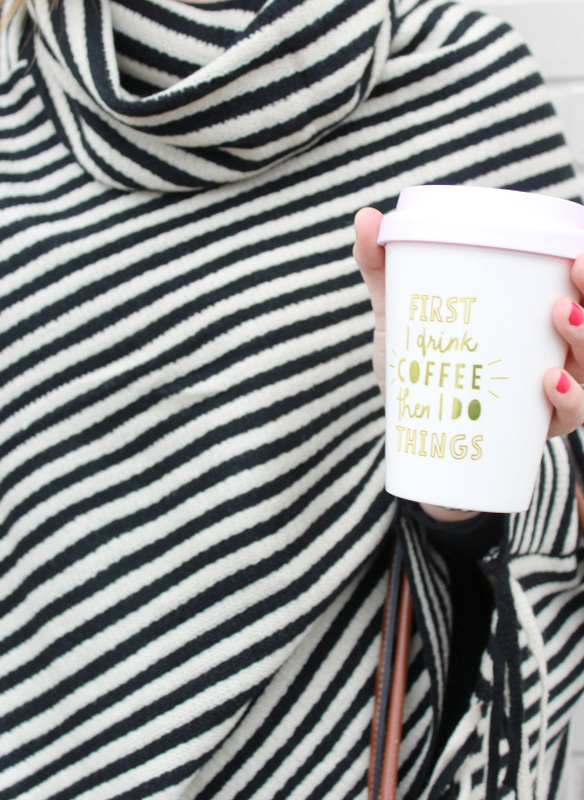 My go-to caffeine fix is always an Americano because it's low in calories but high in caffeine so that works for me! What's your go to energy boost? Today, I'm excited to style another beautiful piece from Gray Monroe! 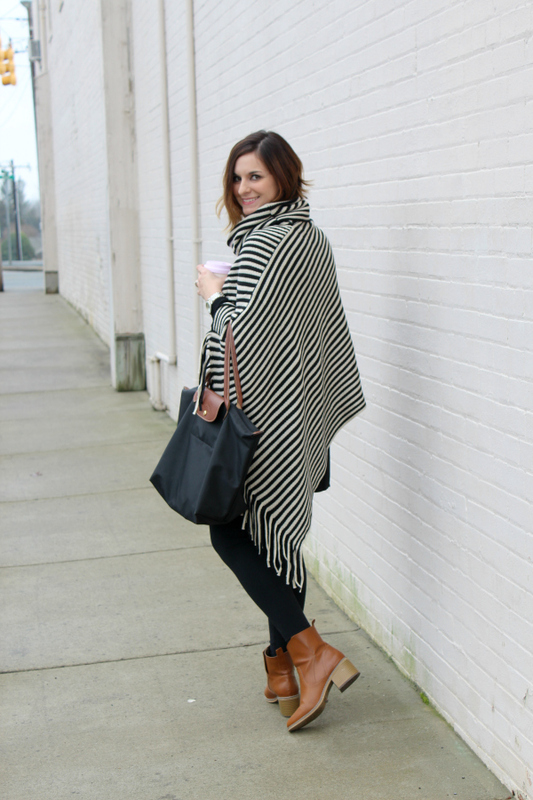 I have quite a few ponchos in my closet because they are such an easy, comfortable way to stay warm and stylish. Some mornings, I throw one on over whatever I'm wearing so I look a little more put together in the car rider line. Instantly dressed and no one really knows that you actually are wearing pajamas underneath! 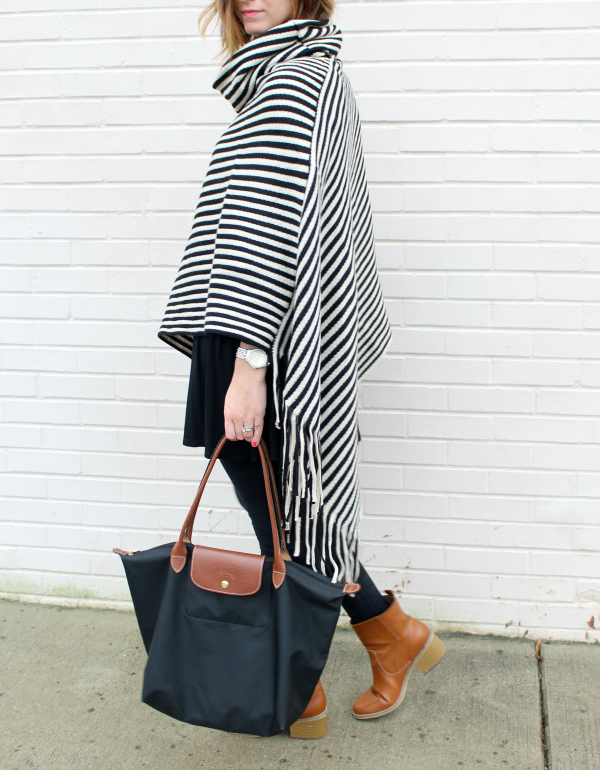 This Brookie Poncho is definitely my current favorite in my closet! Y'all know that I am a lover of stripes so as soon as I saw this one, I knew it was meant to be mine. 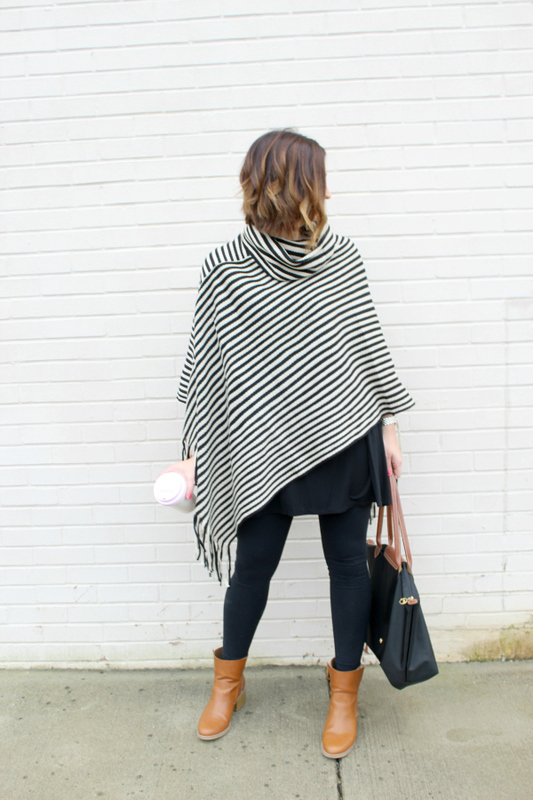 Since the stripes really do the talking, I decided to pair it was all neutrals: a black top, black leggings, cognac boots, and a black bag. 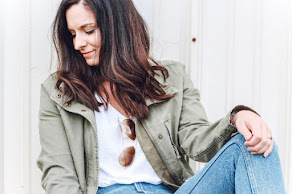 This is such an easy look that anyone can pull off and it's comfortable, too! 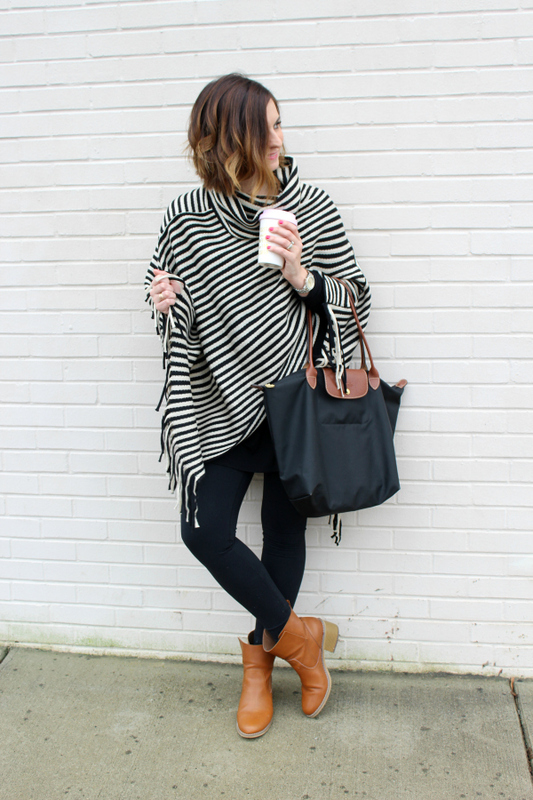 I am seriously needing this poncho! It looks so great on you! What is your nail polish color?? I love it! Hi Lauren! It's a cheap polish that I actually found at the dollar store! Haha! That sweater is seriously so adorable on you!! That Poncho is so pretty! 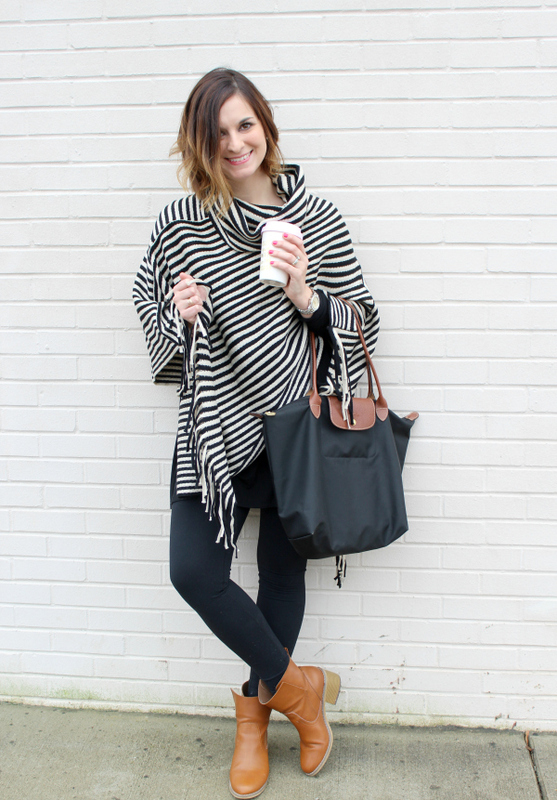 I love anything with stripes! 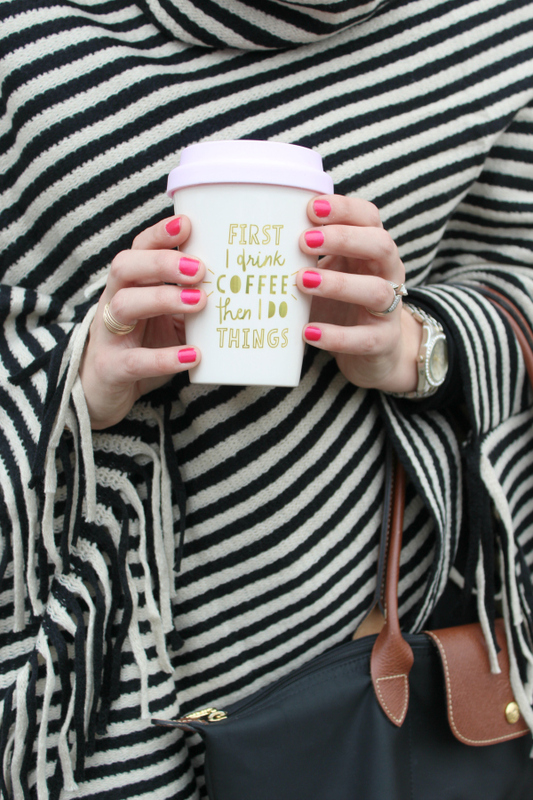 However, that mug steals the show, too cute! Major poncho fan over here! HANDS UP! lol. Love the post girl, thanks for sharing! 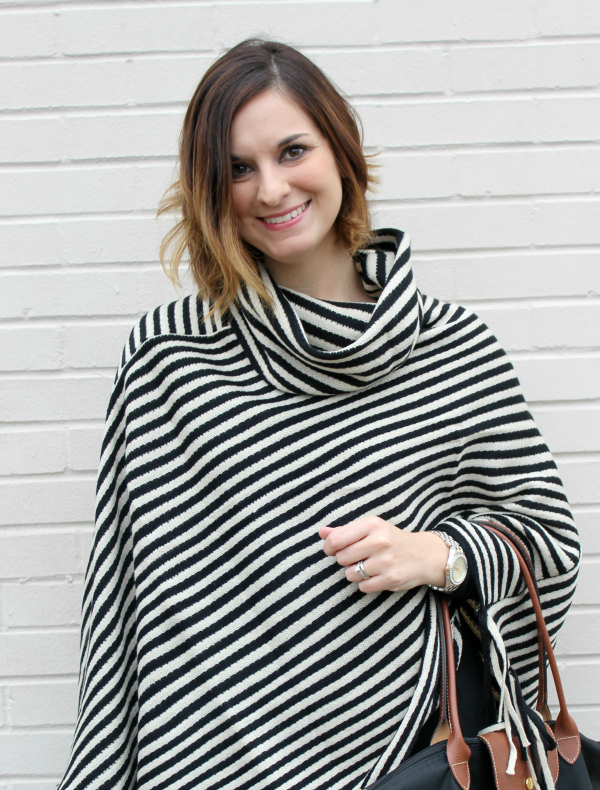 what a cute and cozy poncho!